The Master of Social Work degree is one of the most highly recognized degrees in health and human services, opening the door for employment opportunities in health care, child and family services, mental health and a variety of other exciting career fields. 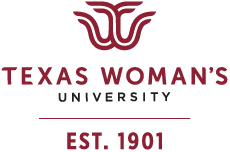 Both Texas Woman's University (TWU) and the University of North Texas (UNT) have had continually accredited, strong Bachelor of Social Work (B.S.W.) degree programs since the mid-1970s. These two B.S.W. programs have worked closely together for decades and see the joint M.S.W. as a continuation and deepening of this relationship. 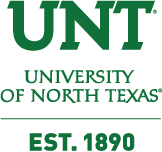 Students who join this program will be able to take advantage of the resources available at both universities and will benefit from the breadth of experience among the faculty and the robust community connections they hold throughout the North Texas area. Graduates of the program will receive a degree jointly awarded by both universities. Please reserve a spot if you wish to attend by emailing socialwork@twu.edu. Submit your materials now to be considered for the program. Apply by Feb. 15 for priority consideration. If space is available, applications will be accepted through June 1st, 2019.